August is National Breastfeeding Awareness Month. I would like to take this opportunity to share some of the wonderful benefits of breastfeeding for both mother and child. Not only does breastfeeding provide a unique bonding opportunity, a mother’s breastmilk offers antibodies that can help protect her baby from illness. According to womenshealth.gov, research suggests that breastfed babies have lower risks of such illnesses as asthma, childhood obesity, ear infections, eczema, diarrhea and vomiting, lower respiratory infections, sudden infant death syndrome (SIDS) and Type 2 diabetes. Newborns can eat up to twelve times in a 24 hour period. It’s best at this young age to feed your baby on demand as their nervous system isn’t mature enough for a feeding schedule. Additionally, feeding on demand is a good way to help establish your milk supply. You can often pick up your baby’s hunger cues before they start getting upset. Look for increased alertness and/ or rooting around for your breast. When it comes to sleep, breastfed babies can sleep as well and as long as bottle fed babies. However, breastfed babies are more likely to fall asleep while being fed. This is a wonderful feeling having your baby fall asleep as you nurse, but it can also create a strong nurse/sleep association. As your baby gets older, practice waking your baby after nursing and putting him down drowsy but awake, or have dad or a caregiver put him down. This will help your baby learn how to self-soothe. After the age of two months, babies eat more during the day and can sleep longer intervals at night. If your baby wakes within a couple of hours of eating, try singing, shushing, rocking, replacing a pacifier, rubbing or patting, before offering breast or bottle. It’s easy to always default to feeding, but it may not be necessary. Teaching your baby new skills is a wonderful goal to have. A baby’s sleep habits can change due to growth spurts and milestones. It’s very tempting in the night to begin feeding if they suddenly start waking. Try to resist doing this as it can become habit forming, and lead to even more night wakings. Instead, use the same soothing techniques suggested above, or offer a bottle of water if all else fails. If your baby begins to drop a night feed, pump at the time your baby would normally wake and then gradually wean. If you stop abruptly this could affect your milk supply as well as cause discomfort. Likewise, nightly pumping may be necessary when your baby begins to give up night feedings. Within the first few weeks of life, try offering a bottle so your baby can get used to it. Have dad do the feed. 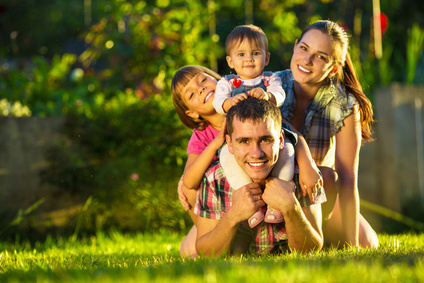 This will allow you to get some extra rest, encourage bonding between dad and your baby, and introduce your baby to self-soothing skills. A mom’s ability to breastfeed is one of life’s amazing gifts. Breastfeeding not only provides your child with a healthy start to life, but the soothing routine helps to settle your little one into a good night’s rest. In addition, finding the right balance between feeding times and sleep schedules can help your little one build healthy sleep habits. Once your baby approaches the age of four months, you can begin to put your baby on a sleep schedule. For some babies this is not an easy transition, and you may find you need help. 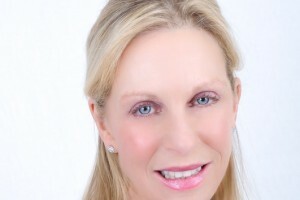 As your Pediatric Sleep Specialist, I know your baby and family situation is absolutely unique. 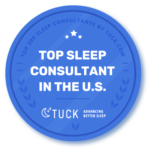 Understanding your baby’s sleep issues as well as your parenting philosophy and style, I will create a customized sleep plan to get your entire family sleeping again. 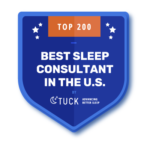 If you think you and your family could benefit from a Child Sleep Specialist be sure to review my sleep success plans or contact me for additional information. As most parents know, colic is intense crying that never seems to end. It leaves parents feeling terribly helpless and for new parents, it can be especially frightening. Here, your beautiful little baby seems to be in so much pain, and the piercing cry is almost too much to bear. It most often seems to happen when everyone is tired and cranky-early to late evening. It generally subsides when the baby is three months old. Often parents think their baby has colic when it could just be general fussiness. I used to think my babies had colic, but the one missing ingredient was the classic ” knees pulled up to the chest.” They never did this, so I can now say, they didn’t have colic. Yet their early evening, endless crying, left me feeling the same way a parent of a colicky baby would feel. What do Professionals Say Causes Colic and Fussiness? Swallowing too much air when they start to cry, which in turn causes gassiness, which leads to more crying. Tension that builds throughout the day. Prepare yourself and your environment for the possibility you will have a fussy/colicky baby. Understand that it is normal and many if not most, babies experience it. You are not alone which is so good to remember because you may feel alone. Talk to your baby’s dad and make sure he understands there could be lots of crying. Keep in mind fussiness begins late in the afternoon and can go long into the evening. Prepare an early dinner for yourself, get other children settled, set up a comfortable room in the house where you have things to keep you occupied and distracted (movies, magazines, snacks) while you soothe your baby. Probiotics have been found to relieve colic in some babies.Of course this is never advised unless the pediatrician agrees. Feed baby small amounts at a time and burp a lot. Remove cow’s milk from the nursing mom’s diet, and eventually other things such as, caffeine and spicy and gassy foods, if need be. Use a white noise machine which can calm a baby as it re-creates sounds of mom’s womb. Sucking-whether it be breast, bottle, or pacifier, this is found to trigger the calming reflex. Swaddling-babies feel they are back in their mom’s body which brings them comfort and warmth. Side Sleeping-lying baby on her left side can aid in digestion and inhibit the Moro, also called startle reflex. Swinging-movement such as a swing, car ride or rocking reminds baby of his first home. Shushing– while you walk, hold, or lie with your baby, this sound emulates what he heard in the womb. If none of these things work, it’s best to lay your baby down in his bed and leave him to cry. It may sound cruel, but often your baby needs to cry. Being exposed to so much stimulation throughout the day can be very overwhelming and crying can help relieve this tension. You can try this in five to ten minute intervals. Put him in bed for five to ten minutes, then try to soothe him for five to ten minutes. Interestingly, a study showed that babies in the hospital had less colicky type behavior than babies who were at home with their parents. The study concluded that babies in the hospital cannot be attended to the way they are at home. Therefore, they are exposed to less stimulation, which may actually be the root of the problem. Remember to take care of yourself. You are still recovering from childbirth and you need your rest to make sure your milk supply is adequate, so enlist the help of others if you feel overwhelmed. So now that the colic has subsided you may run into sleep difficulties. This is one of the things that can happen because colicky babies are held and comforted a lot. Many have not learned self-soothing skills, and therefore have negative sleep associations, and often a big sleep debt to make up. At four months of age, a baby’s circadian rhythms develop and it is now important for them to be on a solid nap and bedtime schedule, so that they get the most restorative and consolidated sleep. If by the age of four months your baby is still not able to settle on her own, wakes frequently throughout the night, wakes very early in the morning, or is not napping properly, you may need to consider sleep training. Sleep training will teach your baby not only to sleep well, but to love sleep, and this is key to a well-rested, happy and healthy baby! 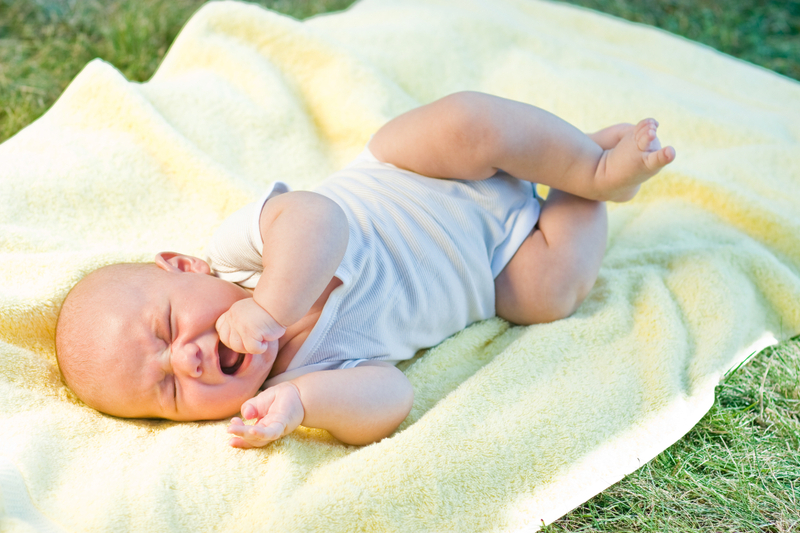 Does your baby have colic or fussy periods throughout the day? Let us know what techniques you implement.